If you’ve got a website, e-magazine, blog or business, we want to hear from you! 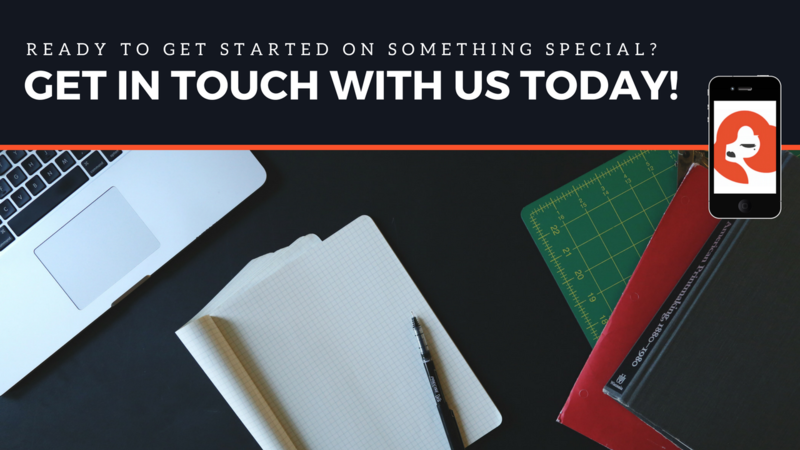 Whatever it is you’re after, from landing page copy and product descriptions to entire websites and full blog management, we have the knowledge and capacity to bring you vision to life… all for a good price. 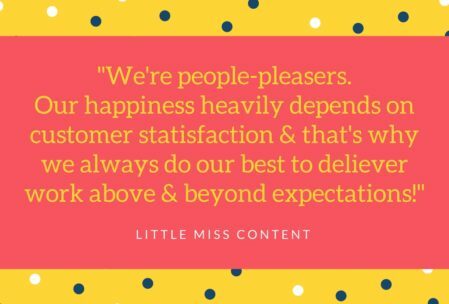 We’re just as passionate about people as we are copywriting, so don’t hesitate to reach out – pick up the phone for a no-obligation chat with Little Miss Content today. “Marie is very reliable and deadline-orientated: I have worked with her, as editor for her copywriting, on several different content projects, and she has always ensured her work is delivered on time, and to the correct spec. Her enthusiasm for the work and willingness to take on new projects is also very much appreciated.” – Laura Henderson, Editor at Write My Site. “Marie is a very competent copywriter who consistently met both the quality and the deadlines we requested. Her communication skills were good and she was one of our more reliable writers. I have no hesitation in recommending her.” – Lisa Culshaw, Content Manager at Ninja Creative. 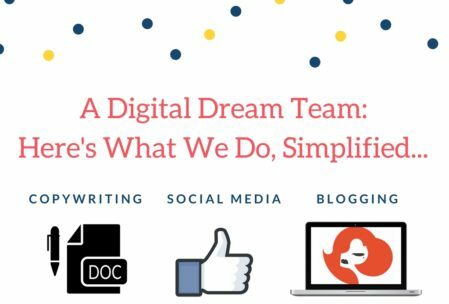 “Marie is a talented and efficient content writer whom I have worked with on multiple projects and she has never failed to deliver. If you are looking for someone to enhance your content marketing strategy, you should definitely drop her a line.” – Chris Hutchings, Head of SEO at Compare the Market. “We have an on-going relationship with Little Miss Content for my company One Tribe Apparel. She writes content for us and does a great job of capturing our brand voice and connecting with our customers.” – Ryan O’Connor, Co Founder of One Tribe Apparel. “I found Marie to be a person with a great thirst for knowledge and experience. She was fantastic to work with… Open-minded, smart, dedicated to producing quality copy and not shy of asking for honest feedback. I wish her all the best in her writing career.” – Sarah Sharkey, Digital Marketing Executive at Avantia Group. “Marie is a very talented and hard working young professional with a great work ethic. During her time with us I appreciated her invaluable support with my international SEO and content strategy projects. Marie is a very kind and concerned work colleague as she showed great interest and a sincere will to help interns and new starters to adapt and enjoy their new work place. As a close friend and colleague I wish her the very best in her professional career.” – Cristina Alisa, Apps Marketing Manager at Google Play. “Marie is an extremely talented writer whose dedication to crafting impeccable content is unsurpassed. Enthusiastic, confident, able to work on her own initiative and always willing to help out in any way she could, she was a fantastic asset to the team during her time with us.” – Ben Gallizzi, Content Strategist at RocketMill. “Little Miss Content proved herself a valuable member of the team be it related to photo shoots, production or admin. Her attitude was unfailingly positive and appropriate – she soon became indispensable. I’d have no reservations about recommending her and wish her every success.” – Adam Moore, Client Services Director at Twenty Twenty Media Vision.